It is a music player for playing music. 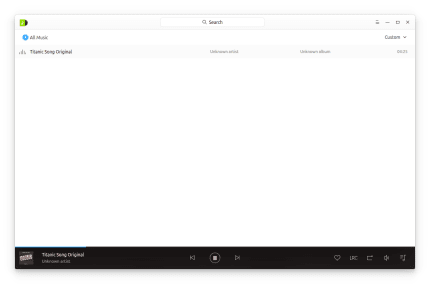 It is an awesome music player with brilliant and tweakful UI Deepin-UI based. For those users who like to use the Deepin-UI, snap provides a way for them to use the app on Ubuntu platform and other platforms. Feature wise the player ticks all the usual boxes: it can scan, list and play your local music files; it lets you sort by album, artist and added date; there’s playlist creation; an integrated lyrics feature; optional dark mode; and automatic album artwork fetching.